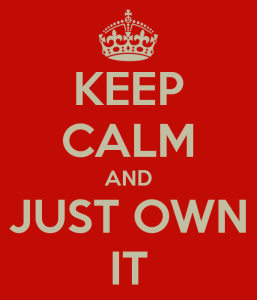 You have to own it. That's what I've learned. If you know who and what you are you need to own it or else people will smell the inauthenticity. That certainty goes a long way towards establishing credibility and how I gained mine interacting as a female in the world. This is making it easier for me to come to a firm decision and, as Emma so rightly commented recently, transition means different things to each of us. It is the amount of time (full time or part time) that remains to be decided and whether I begin some form of HRT with Dr. Morris. The one thing I know with some degree of certainty is that surgery is not for me because, personally, I don't feel it's necessary in order to be myself. Being self concious and transgender are mutually exclusive and if you worry about how you are being perceived you will develop paranoia. I am now rid of that condition I suffered from all my life: pleasing others to fit in and worrying about what they thought. You cannot develop a plan as a transgender person without ridding yourself completely of this affliction. I put off dealing with my dysphoria properly for many years and count myself fortunate to be amongst the half of trans people who never attempted suicide. In many ways, I've led a difficult and stressful life and it's time to simplify it just a bit.